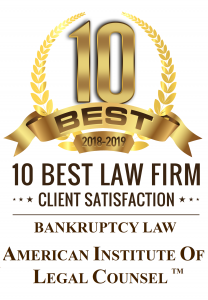 Sometimes bankruptcy lawyers hear rumblings from blog commentators about how bankruptcy lawyers always recommend bankruptcy instead of other debt relief options. Yes, it is true that bankruptcy lawyers often default to the bankruptcy solution, but the underlying rationale is more deeply rooted in pragmatism than pecuniary gain. The power of bankruptcy for debtors lies in the ability to play be a defined set of rules. Instead of the lose and myriad negotiations that voluntary debt consolidation plans entail, which can all be derailed upon the whim of a single creditor, bankruptcy forces the debtor and all creditors to play according to one set of rules. Some are, but most choose to practice consumer bankruptcy law because they want to help people. Compared to other practice areas consumer bankruptcy is not the most profitable practice. Yes, there are some bankruptcy lawyers in Sacramento that treat bankruptcy law like a business instead of an ethical profession, but those attorneys are rare. Bankruptcy lawyers often advise prospective clients to file for bankruptcy after evaluating their financial status during a free consultation. The typical situation that prompts the bankruptcy lawyer to say “file for bankruptcy” is this: repayment of the debt is not optimal considering the debtor’s income, necessary expenses, and projected retirement date. In light of these factors, bankruptcy is often the pragmatic course of action. Yes, there are other debt relief options that may be pursued, but the likelihood of success in debt consolidation plans is vague. These voluntary plans can easily be derailed and often require years of participation by the debtor. During those years the debtor will not be saving for their retirement or making progress in their financial lives. In contrast, bankruptcy entails a certainty by forcing all parties to participate in the bankruptcy system. In return, the debtor will get debt relief and can once again make progress in their financial future and continue saving for retirement.